One day Training Program on “Soil Health Management” Under farmers’ FIRST Project. 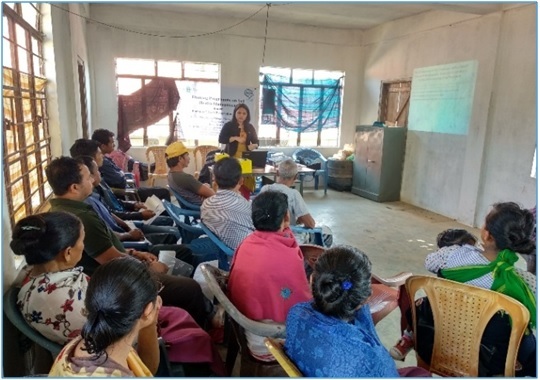 A one-day training program on Soil Health Management was conducted on 20.3.2019. in the village Purangang, Nongpoh, Ri-Bhoi district of Meghalaya, as a part of the ongoing Farmers’ FIRST project. 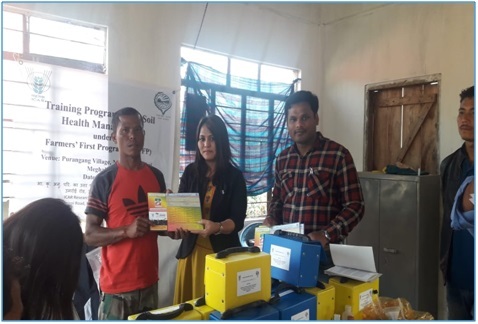 The program was attended by 50 (fifty) numbers of farmers from the neighboring Farmers’ FIRST villages, including Umtham, Puranggang, Lalumpam, Sarikhushi, Borkhatsari, and Borgang. The importance and need for soil health management, soil health testing, utilization of locally available resources for soil health management and improvement through doable technologies like rural composting and vermicomposting were also sensitized and taught to the farmers. During the training, practical demonstration of soil sampling and use of rapid soil health testing kit was also done. Twenty five (25) numbers of Rapid soil health testing kit were distributed to the farmers under the said programme. 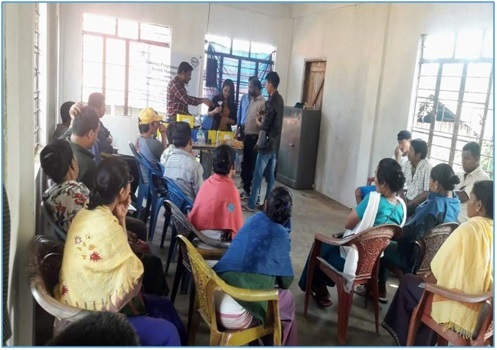 The training was coordinated by Dr. A. Balusamy (Scientist, Environmental Science) and Co-PI of the project, Dr. M. Prabha Devi (Scientist, Environmental Science), Dr. T. Ramesh (Senior Scientist, Soil Science), Ms. Ibanylla Swer (Project Assistant) and Ms.Lapynbiang Khongrymmai (Project Assistant). 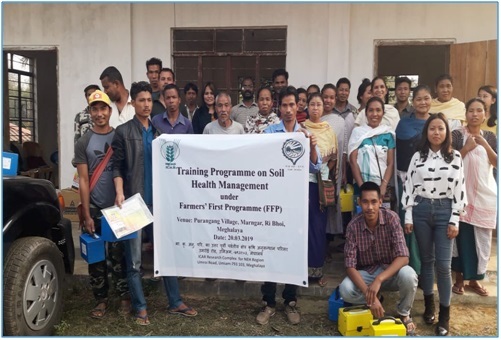 The whole program was facilitated by Dr. R. Laha, Principal Scientist (Animal Health) & PI-Farmers FIRST Project and Dr. S. Hazarika, Principal Scientist & Head, NRM Division.